This versatile utility brush features long-wearing white Tampico fibers that can be used on mason, brick, tile, stone, and more. 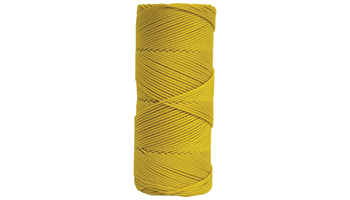 Tampico fibers are acid, alkali, and heat resistant for use with a variety of materials. 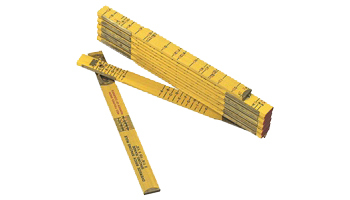 The porous fibers hold water for cleaning or application purposes. These fibers are great for applying materials to rough surfaces like roofing, asphalt, concrete, and masonry surfaces. Made out of light weight aluminum. 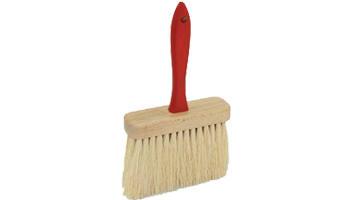 All broom bristles are glued for straightness and strength. 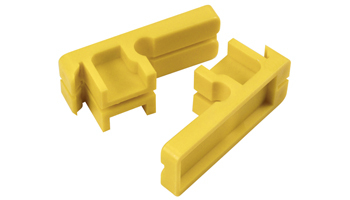 The EZY-Tilt® II tilt action button float bracket attaches to fresnos or bull floats. The bracket is made of rugged yet lightweight aluminum for durability. 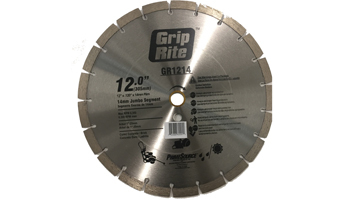 Control the pitch of the blade with a one-to-one turning ratio of handle to blade. 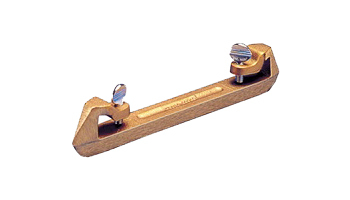 Use with 1 3/8” or 1 ¾” snap/button bull float brackets. Only fits 2 or 4 hole metal bull floats. 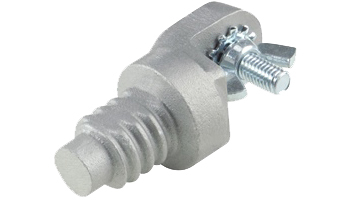 Attaches to 8” wide bull floats with two thumbscrews. Mount as many groovers as needed. The Knucklehead® II double tilt action button float bracket attaches to fresnos and both 2-hole and 4-hole bull floats. The bracket is made of rugged, yet lightweight aluminum for durability. 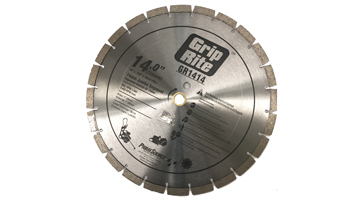 Control the pitch of the blade with a one-to-one turnig ratio of handle to blade. 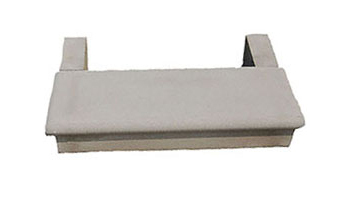 Use with 1 3/8” or 1 ¾” button bull float handles or adapters. Fits 2 or 4 hole bull floats. Level and smooth a large area of concrete before finishing with this lightweight bull float. Made of Genuine Extru-Lite™ Magnesium, which is 30% lighter than aluminum. 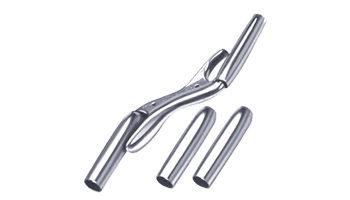 The float features multiple ribs for extra strength and reinforced for long wear. 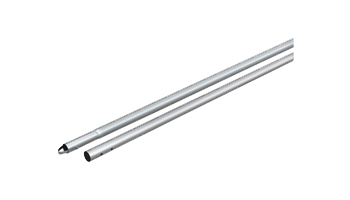 This 48"x8" round end float is "broken-in," curved and properly balance to prevent digging. 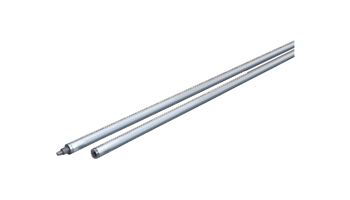 CAUTION: Metal extension handles should not be used near electrical wiring. 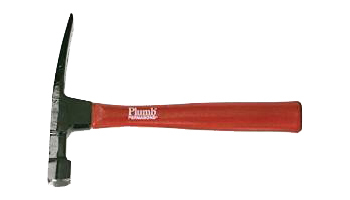 Plumb 15 oz. Brick Hammer. 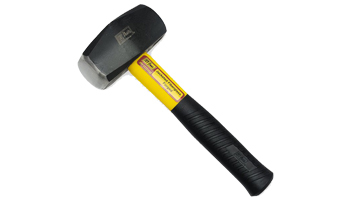 The hammer measures 11'' long and 1-1/6'' wide. 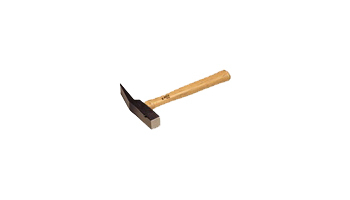 Hammer is designed with a forged head with a durable, black epoxy painted on. 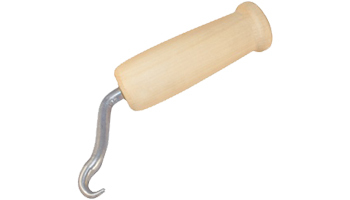 Handle is made of strong hickory providing you with the durability you need from your hammer. Jacketed fiberglass provides overstrike protection. 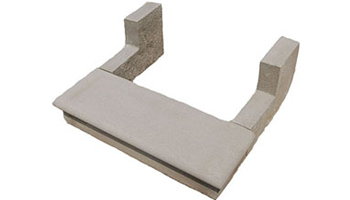 This small flat trowel is ideal for slabs, sidewalks, driveways, and everything in between. 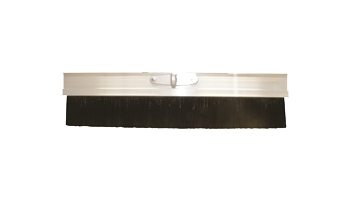 Finish concrete to the perfect finish with this trowel. The contoured ProForm® soft grip handle has an enhanced texture ribbing for a great grip even when wet. 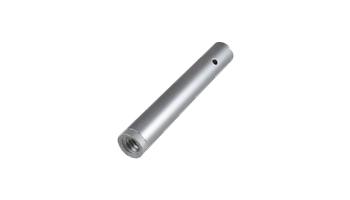 The handle is locked in place on the high-strength, lightweight aluminum mounting. Proudly made in the USA. 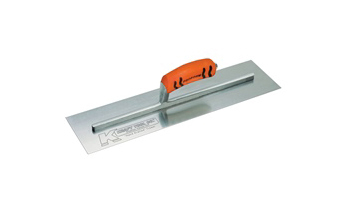 This flat trowel is ideal for slabs, sidewalks, driveways, and everything in between. 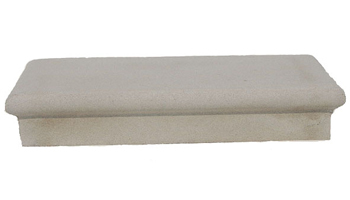 Finish concrete to the perfect finish with this trowel. The contoured ProForm® soft grip handle has an enhanced texture ribbing for a great grip even when wet. 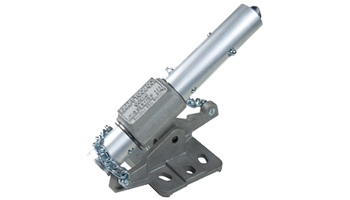 The handle is locked in place on the high-strength, lightweight aluminum mounting. Proudly made in the USA. Designed and engineered for the professional finisher. 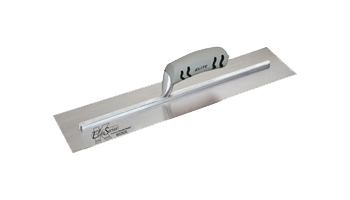 High quality carbon steel finishing trowel features a precision ground edge ready for immediate use. Greater flexibility and durability reduces fatigue when finishing concrete. A high-strength, lightweight aluminum mounting stands up to the rigors of cement work. 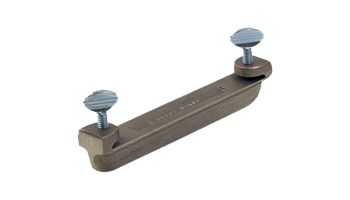 An oversized toe rivet provides extra strength when applying pressure during finish work. Guaranteed No-Turn handle design locks the handle to mounting. 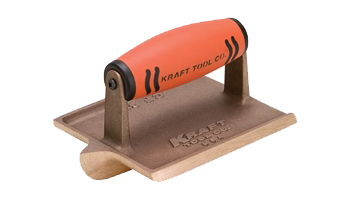 Kraft Tool's premium flat trowel with patented laminated hardwood handle provides a comfortable grip. 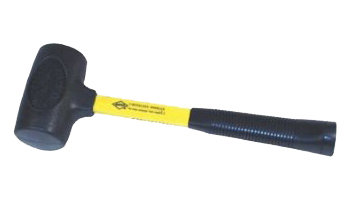 The uniquely colored handle is distinctive and easy to spot on a jobsite. The contoured camelback shape of the handle reduces fatigue and provides a great grip. The trowel comes with a special trowel holder to protect the blade. Designed and engineered for the professional finisher. 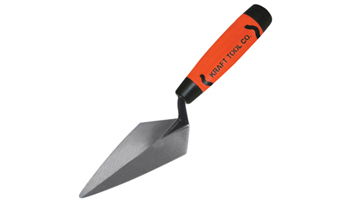 High quality carbon steel finishing trowel features a precision ground edge ready for immediate use. Each trowel is made with state of the art machinery that grinds the blade to just the right dimension for that perfect feel. Greater flexibility and durability reduces fatigue when finishing concrete. A high-strength, lightweight aluminum mounting stands up to the rigors of cement work. 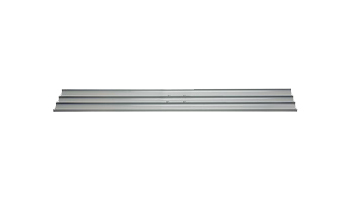 Compression fit stainless steel power pin rivets attach the mounting to the 16" x 4" blade. 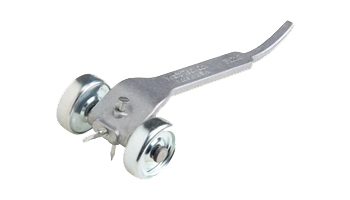 An oversized toe rivet provides extra strength when applying pressure during finish work. 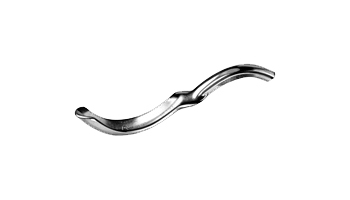 Guaranteed No-Turn handle design locks the handle to mounting. 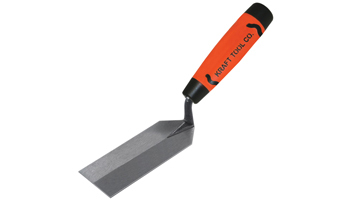 Kraft Tool's premium flat trowel with patented ProForm® soft grip handle provides a comfortable grip. The contoured shape and enhanced texture ribbing of the handle reduces fatigue and provides a great grip even when wet. The trowel comes with a special trowel holder to protect the blade. 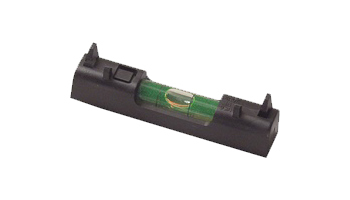 The holder features a hang hole for storage. Professional Quality, Precision Balanced, and Ready to Use. Designed and engineered for the professional finisher. 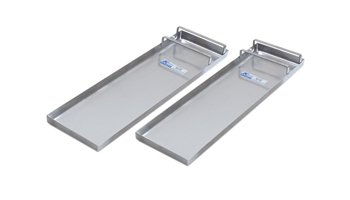 High quality carbon steel finishing trowel features a precision ground edge ready for immediate use. Each trowel is made with state of the art machinery that grinds the blade to just the right dimension for that perfect feel. 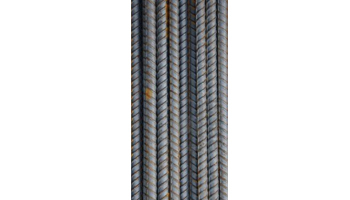 Greater flexibility and durability reduces fatigue when finishing concrete. 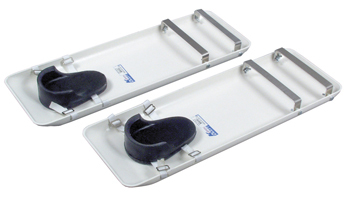 A high-strength, lightweight aluminum mounting stands up to the rigors of cement work. 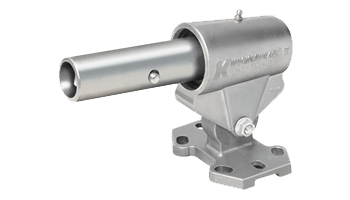 Compression fit stainless steel power pin rivets attach the mounting to the 16" x 4" blade. An oversized toe rivet provides extra strength when applying pressure during finish work. Guaranteed No-Turn handle design locks the handle to mounting. 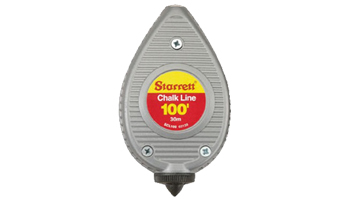 Kraft Tool's premium flat trowel with leather handle wicks away sweat from the hand providing a comfortable grip. The contoured camelback shape of the handle reduces fatigue and provides a great grip. The trowel comes with a special trowel holder to protect the blade. Designed and engineered for the professional finisher. 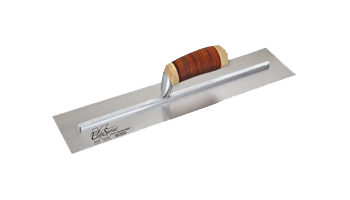 High quality carbon steel finishing trowel features a precision ground edge ready for immediate use. Each trowel is made with state of the art machinery that grinds the blade to just the right dimension for that perfect feel. Greater flexibility and durability reduces fatigue when finishing concrete. A high-strength, lightweight aluminum mounting stands up to the rigors of cement work. 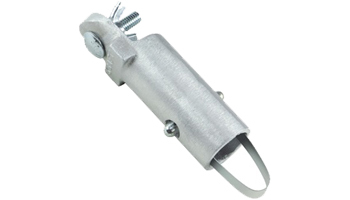 Compression fit stainless steel power pin rivets attach the mounting to the 18" x 4" blade. An oversized toe rivet provides extra strength when applying pressure during finish work. Guaranteed No-Turn handle design locks the handle to mounting. 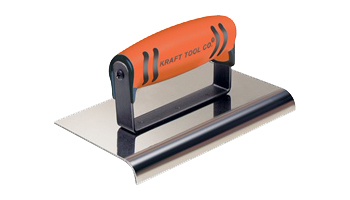 Kraft Tool's premium flat trowel with patented laminated hardwood handle provides a comfortable grip. The uniquely colored handle is distinctive and easy to spot on a jobsite. The contoured camelback shape of the handle reduces fatigue and provides a great grip. The trowel comes with a special trowel holder to protect the blade. Designed and engineered for the professional finisher. 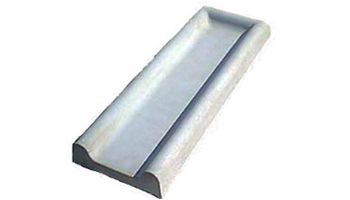 High quality carbon steel finishing trowel features a precision ground edge ready for immediate use. Each trowel is made with state of the art machinery that grinds the blade to just the right dimension for that perfect feel. 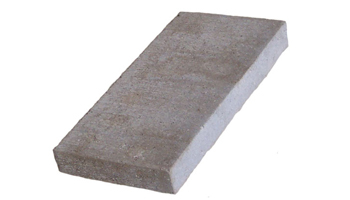 Greater flexibility and durability reduces fatigue when finishing concrete. A high-strength, lightweight aluminum mounting stands up to the rigors of cement work. 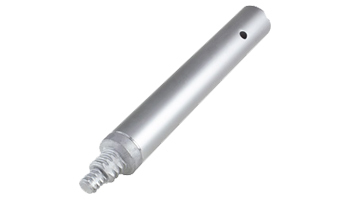 Compression fit stainless steel power pin rivets attach the mounting to the 18" x 4" blade. An oversized toe rivet provides extra strength when applying pressure during finish work. Guaranteed No-Turn handle design locks the handle to mounting. 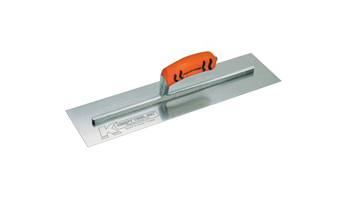 Kraft Tool's premium flat trowel with patented ProForm® soft grip handle provides a comfortable grip. The contoured shape and enhanced texture ribbing of the handle reduces fatigue and provides a great grip even when wet. The trowel comes with a special trowel holder to protect the blade. The holder features a hang hole for storage. Professional Quality, Precision Balanced, and Ready to Use. 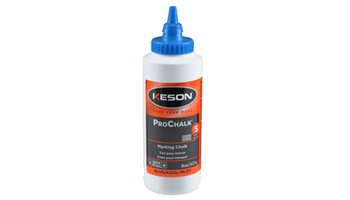 Designed and engineered for the professional finisher. High quality carbon steel finishing trowel features a precision ground edge ready for immediate use. Each trowel is made with state of the art machinery that grinds the blade to just the right dimension for that perfect feel. Greater flexibility and durability reduces fatigue when finishing concrete. A high-strength, lightweight aluminum mounting stands up to the rigors of cement work. 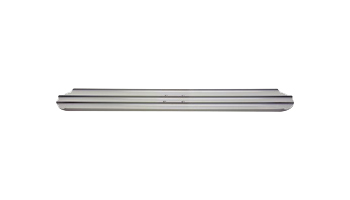 Compression fit stainless steel power pin rivets attach the mounting to the 18" x 4" blade. An oversized toe rivet provides extra strength when applying pressure during finish work. Guaranteed No-Turn handle design locks the handle to mounting. 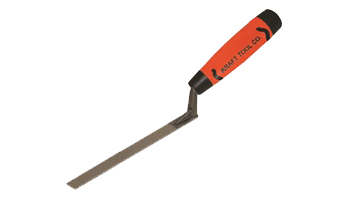 Kraft Tool's premium flat trowel with leather handle wicks away sweat from the hand providing a comfortable grip. The contoured camelback shape of the handle reduces fatigue and provides a great grip. The trowel comes with a special trowel holder to protect the blade. 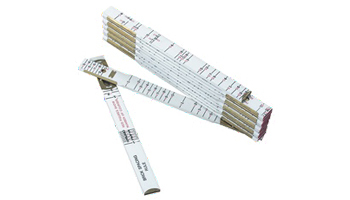 The narrow 1/4" wide blade is ideal for tuckpointing, caulking, and other tight jobs. The 6-5/8" blade and tang are forged as one-piece for strength and flexibility. The trowel is then tempered for strength, ground for flexibility and polished to better hold mortar. 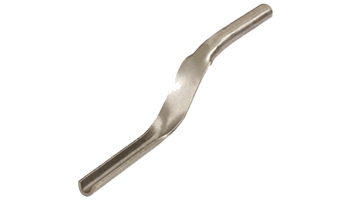 The tool is designed for perfect balance during use to reduce fatigue. 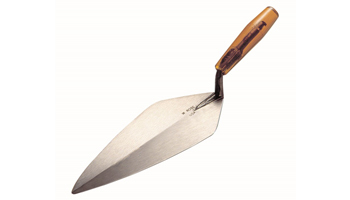 A favorite trowel for masonry restoration and repair. The 4-1/2" ProForm® soft grip handle provides a comfortable and confident grip even when wet. The orange handle is easy to spot on a job site. 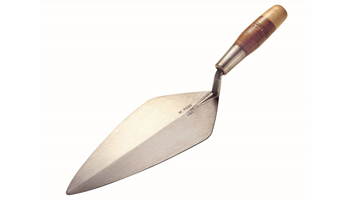 The trowel's overall length is 11". Proudly made in the USA. 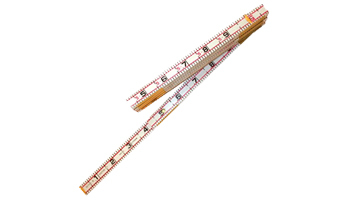 The narrow 1/2" wide blade is ideal for tuckpointing, caulking, and other tight jobs. The 6-5/8" blade and tang are forged as one-piece for strength and flexibility. The trowel is then tempered for strength, ground for flexibility and polished to better hold mortar. 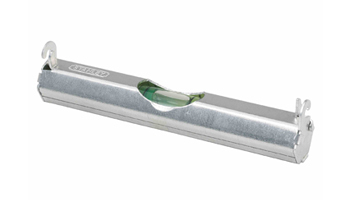 The tool is designed for perfect balance during use to reduce fatigue. 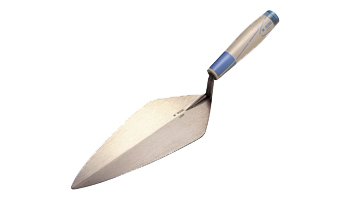 A favorite trowel for masonry restoration and repair. 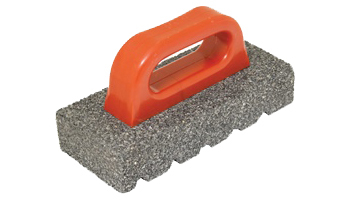 The 4-1/2" ProForm® soft grip handle provides a comfortable and confident grip even when wet. 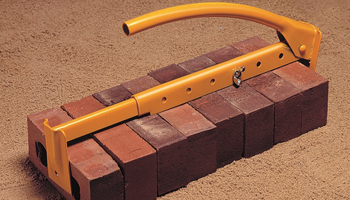 The orange handle is easy to spot on a job site. 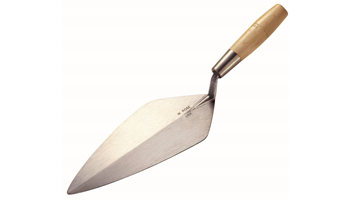 The trowel's overall length is 11". Proudly made in the USA. 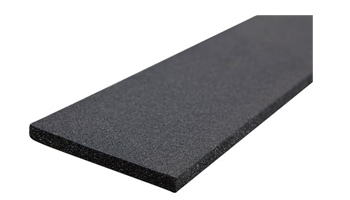 Diamond heel blade is perfect for brick and general masonry. 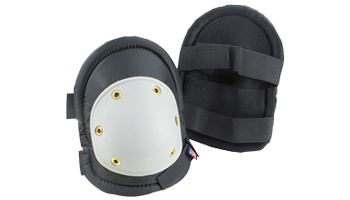 Professional foam rubber hard shell knee pads. Contoured cap provides extra support and comfort for heavy use. Velcro® closures are easy to use and adjust. Proudly made in the USA. 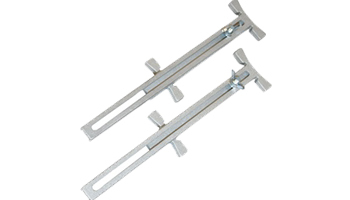 Heavy-duty quick adjusting tong can carry 6 to 10 bricks. 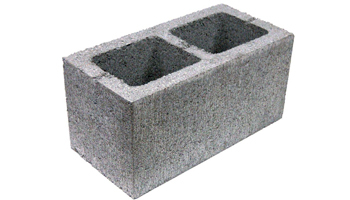 Will not damage bricks and is designed and built for long wear. Proudly made in the USA. 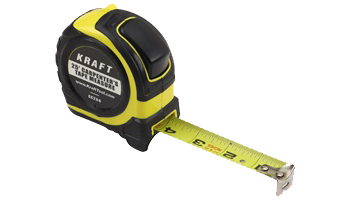 Work on various size blocks from 4" - 12"
Lets you do the job right, quickly and safely. 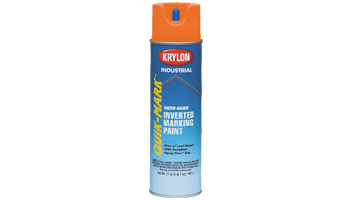 QUICK-MARK™ INVERTED MARKING PAINTS have a high solids formulation that gives them the boldest, brightest and most visible markings in the industry. 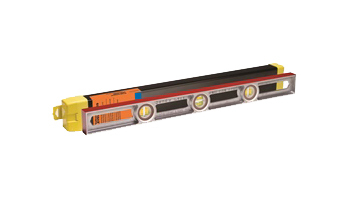 These fast-drying products penetrate and adhere to hot surfaces, and deliver a line you can count on for all your locating, marking, and surveying needs. Also known as a two step riser. Used to elevate one step higher than another. Also known as a three step riser. 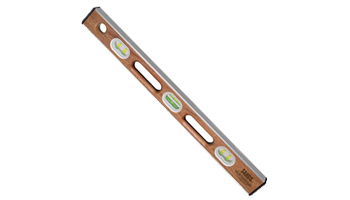 Used to elevate two steps higher than the ground step for three steps. Copyright © 2017 Dale’s Landscaping. All rights reserved.